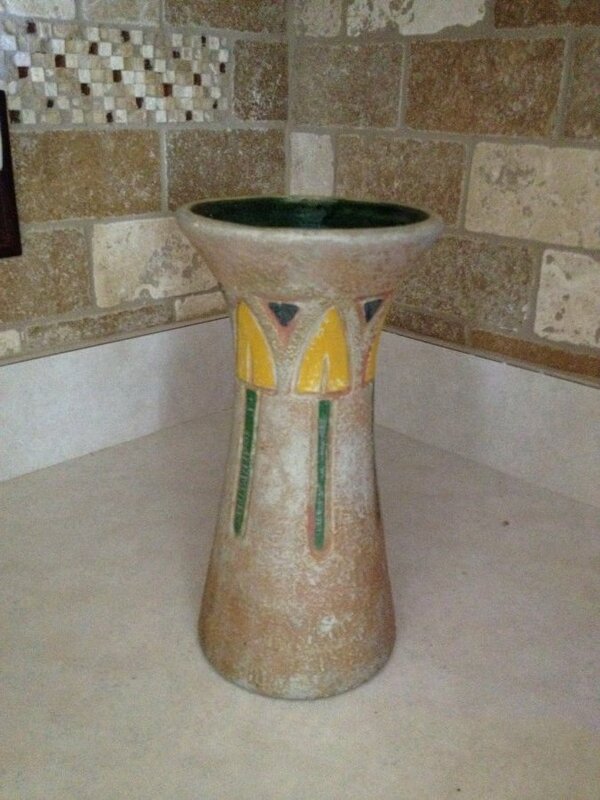 I'm looking to find out what this ceramic vase is worth. Anyones knowledge here would be greatly appreciated. Green glazed interior. Number 164 embossed on the bottom.